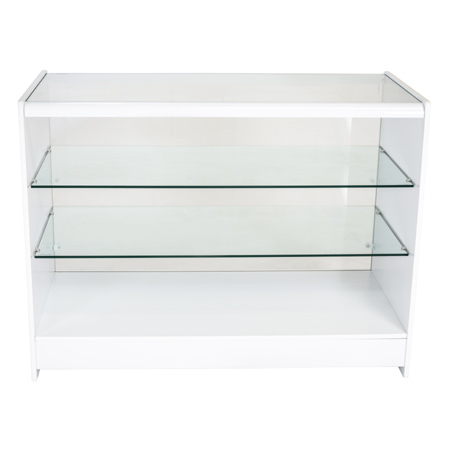 Glass Fronted Showcase (White Finish). 1200mm x 600mm x 900mm (L x D x H). Contructed from durable 15mm MDF. 8mm thick glass top with two glass display shelves. White finish with colour co-ordinated aluminum trim. Despatched in 2 boxes. Photograph of Maple Finish for illustration only.